A continuation of a multiplayer shooter by Respawn Entertainment, which was published in 2014 exclusively on PC, Xbox 360, and Xbox One. 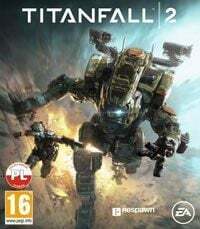 Titanfall 2 for PC, XONE and PS4 is a continuation of an FPP shooter Titanfall published in 2014. Due to financial reasons, the first part developed by Respawn Entertainment was released exclusively on Xbox One, Xbox 360, and PC. The sequel was not covered by the agreement with Microsoft, therefore this is a multiplatform title published on every major gaming platform. The game features six new Titans. Of course, all of them differ in abilities, e.g. Scorch uses T-203 Thermite Launcher and sets everything within its firing range on fire, and Kation shoots energy beams out of his particle cannon. Visuals of Titanfall 2 for PC, XONE and PS4 are kept in a similar style to the first part of the series, but naturally the production is more attractive, animations are more smooth, and locations are more diverse. Titanfall 2 primarily focuses on multiplayer, so the developer decided to make free every map and game mode added with after premier updates.